Azul maya a.k.a maya blue, is the bright blue pigment used by the Maya and Aztec in their pottery, paintings and textiles. The fascinating thing about maya blue is it’s ability to withstand sun, rain and all the chemical aggression that nature can throw at it, for centuries! Mayans and people after them, had used this special form of blue for ages… but it was only in the 1960s that scientists finally discovered the composition. Maya blue is made with indigo obtained from the local anil plant (indigofera suffruticosa), and a clay mineral known as palygorskite. In 1993, Mexican historian and chemist, Constantino Reyes-Valerio published the very first recipe to make maya blue. Yesterday at the UCB’s Colors of America workshop, maya blue was one of the subjects explored. And I certainly couldn’t say no to an opportunity to create the pigment myself. I followed a recipe formulated by renowned dyer and chemist Michel Garcia, using indigo and sepiolite clay (instead of palygorskite*). 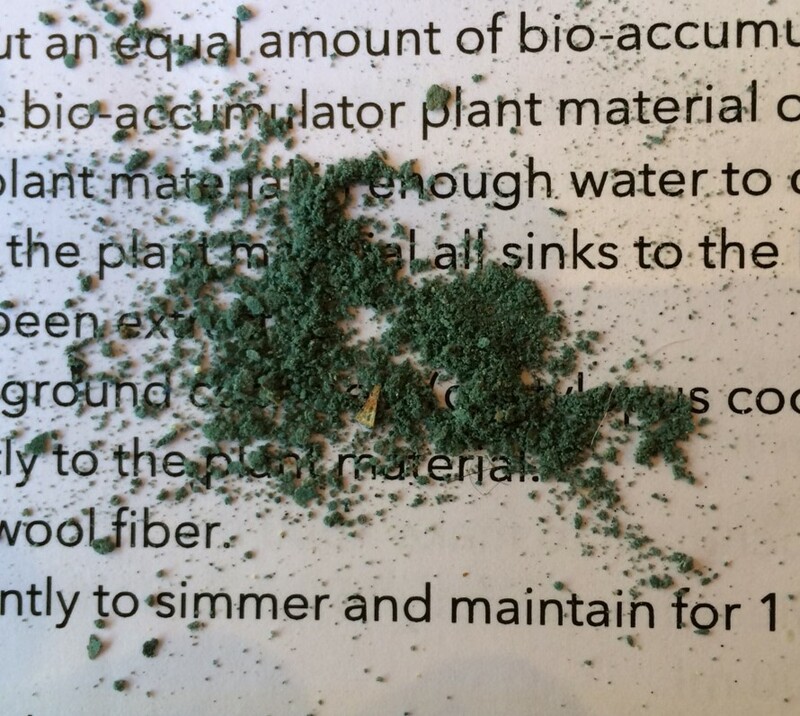 The first step is to grind/mix the indigo and sepiolite together to make a fine powder. Once ready, this mixture is cooked in a pan at high heat. Frequent stirring is required to prevent lumping. The cooking makes the the water molecules in the sepiolite evaporate. At about 180C, the indigo sublimates (turns into gas), replacing the evaporated water molecules in the clay. The colour of the powder turns from the original blue-green to turquoise and finally a deep violet-blue. Once it attains this deep blue colour, you’ve got the maya blue! At the workshop, the sublimation process didn’t take too long. 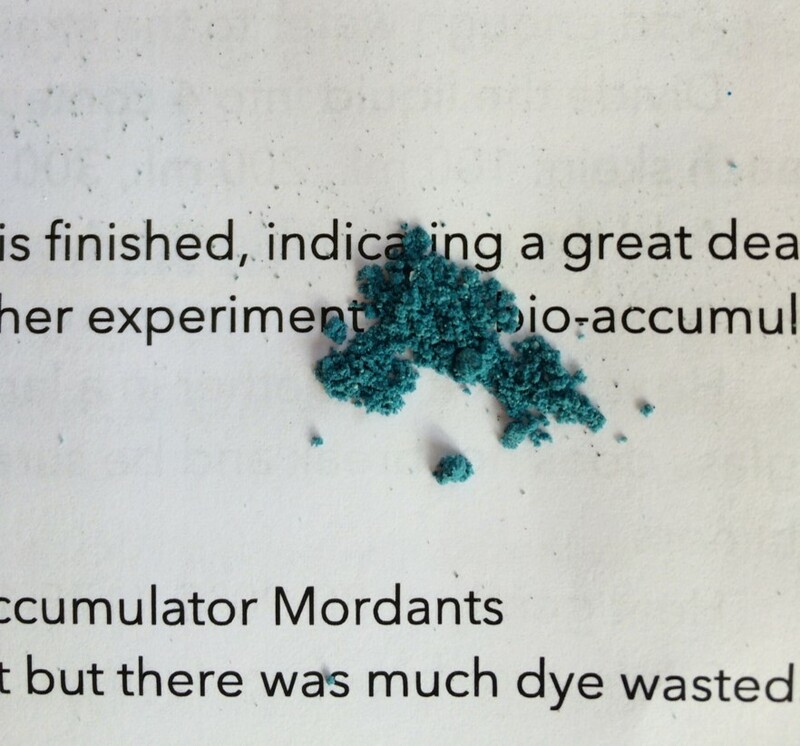 I worked with 100g of the initial indigo + sepiolite powder and the complete colour change happened within 10 or so minutes of cooking. For applications on fabric, the maya blue needs to be mixed with soy milk. After application, the fabric needs to be dried completely prior to heat-setting the pigment by ironing or steaming. 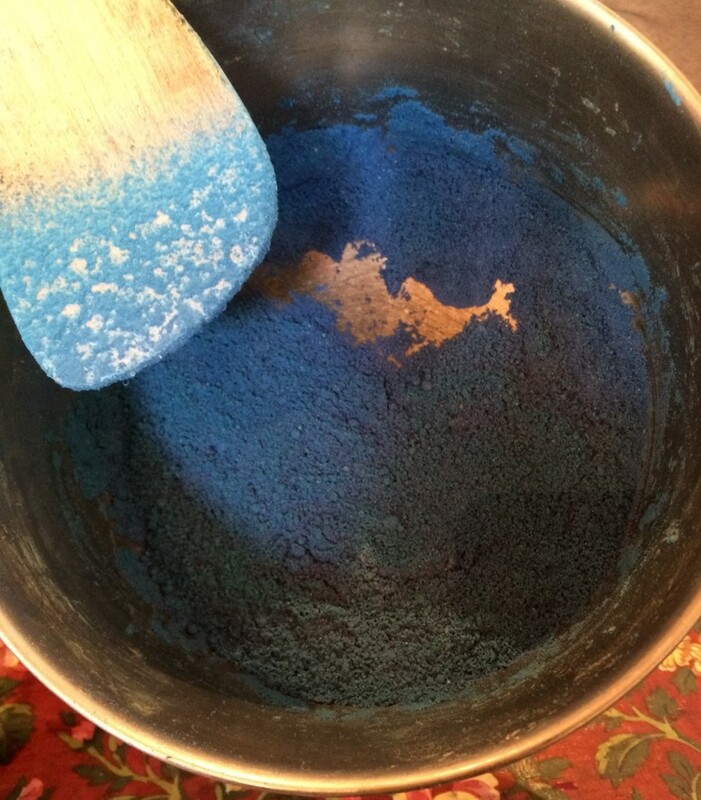 It’s important to remember that maya blue is a pigment based colorant and not a dye. 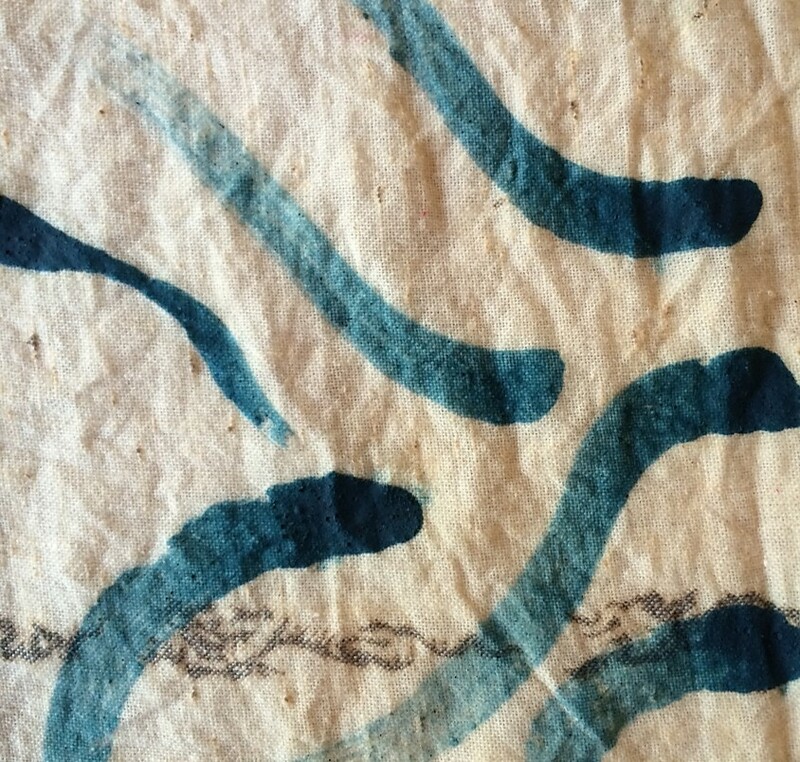 In textiles, it is steadfast when used to make accessories, furnishings or art pieces that don’t need a frequent wash! *Fuller’s clay is another substitute for the palygorskite. Full disclosure: I was a teaching assistant volunteer for Yoshiko Wada at this workshop. How interesting Anu, thanks for sharing. I’ve worked in the past with soot mixed with soy milk but never been close to maya blue. I really love that colour!